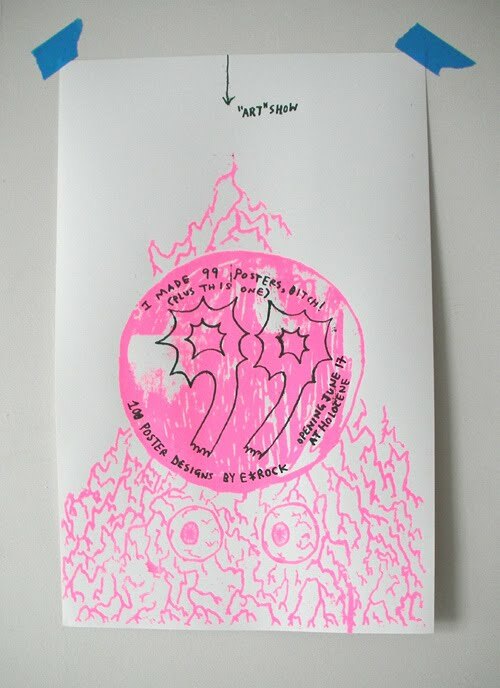 E*Rock was featured in Plazm #28 and has collaborated on a bunch of Plazm projects over the years. Here’s a great opportunity to check out a bunch of his posters in one place, plus some rad music. Featuring music by: Y La Bamba, Love Always (Kathy Foster solo), STLS, DJ E*Rock, DJ Magic Beans. Plus dance performances by: Kathleen Keogh (in a dance/music collaboration with The Slaves), Jin Camou. Plus installations by local visual artists! All proceeds benefit Planned Parenthood. This entry was posted in Design, events, Posters. Bookmark the permalink.